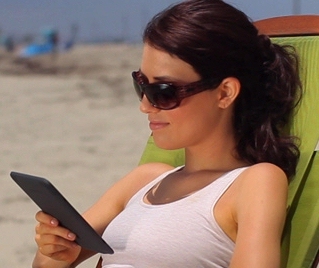 The Kindle, the iPad, and the future of ebooks! Is the Kindle changing our world? That’s a question I ask myself every day. But someone’s actually contacted 6,250 frequent book buyers to find out exactly what’s going on. Their research generated some startling statistics – and led to a disturbing prediction about the future. Yes, it’s a picture of our world as it is today – but it already contains the seeds for the world of books tomorrow. 26% of adult book buyers are already reading digital ebooks, according to the survey, while 34% more said they’d be willing to try them. In fact, only 14% swore they would never, ever read an ebook. 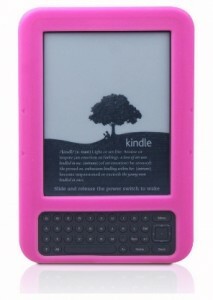 The biggest thing keeping people away from the Kindle was probably the price, according to their analysis. 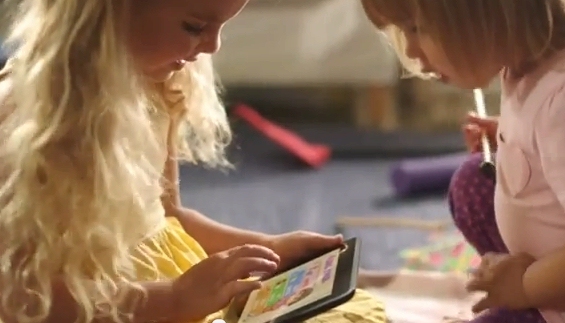 After Amazon lowered the price of the Kindle, it saw a surge in four different age brackets. The percentage who reported a Kindle doubled between June and November for people between the ages of 18 and 24 (from 3.2% to 6.5%). By November, 8.5% of the adults between the ages of 35 and 44 now reported they owned a Kindle — and 9.6% of the adults older than 65! But how is that affecting the world of books and the way people buy them? 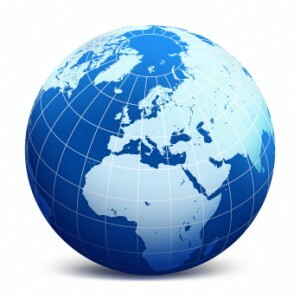 First, how many iPads are there in the world? 15 million (according to Apple). That’s in only nine months, since it was released in April. But ironically, when people buy an ebook for their iPad, 40% of the ebooks are bought through Amazon’s Kindle store! Apple doesn’t have a deal in place with Random House, according to Publisher’s Weekly, which means Apple’s iBookstore can’t offer popular titles like The Girl with the Dragon Tattoo, John Grisham’s The Confession, or even former president Bush’s autobiography, Decision Points. In fact, iPad owners bought just 29% of their ebooks from Apple’s iBookstore, according to a November survey by a research firm called the Codex Group. And then he makes a prediction. Currently the vast majority of people discover their next book through a bookstore. (I even know several people who’ve reported browsing through the books at a bookstore — before downloading a digital version to their Kindle or Nook!) But if the Kindle’s popularity continues, it’s going to hurt some local bookstores — and that’s going to make it harder for publishers to advertise their newest books. 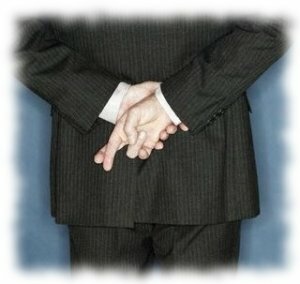 “What has Hildick-Smith really worried, however, is whether publishers have concrete plans to protect their bookstore base. I had to laugh. David Letterman showed off his new tablet-sized reading device on last night’s show — and he seemed confused about whether he’d bought an iPad or a Kindle! Letterman was probably reading with a “Kindle for iPad” app. 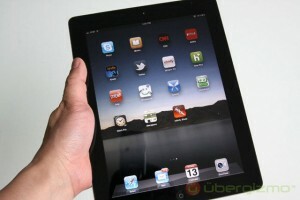 (Earlier this week, Amazon pointed out that it’s one of the top 10 best-selling apps among iPad owners.) But as their conversation went on, Paul Shaffer (who conduct’s the show’s band) gently tried to correct Letterman’s confusion as he explained how you turn pages. 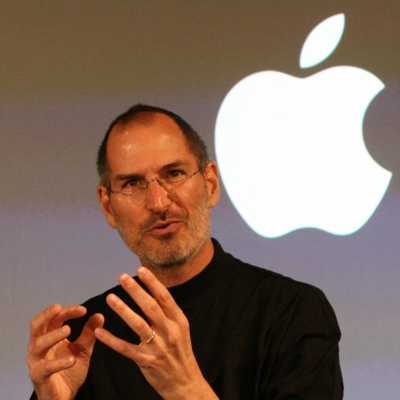 Letterman has expressed skepticism about the iPad before. When the device was first released in April, he showed one to his audience, then joked “The radiation this thing gives off is incredible. You’re supposed to wear a lead apron when you operate it.” But it’s especially interesting in light of a new research study by J.P. Morgan. They determined that 40% of the people who own an iPad also own a Kindle — and that another 23% of them plan to buy one within the next 12 months! 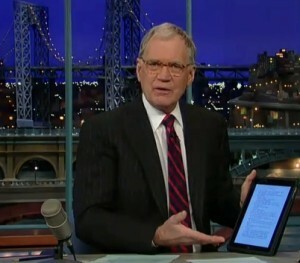 The iPad won’t destroy the market for the Kindle — though I hope that all iPad owners aren’t as confused as David Letterman! But I would like to drop his comments into a time capsule. If books are someday replaced by digital readers, it’ll be worth remembering just how uncomfortable some people were with the change. “I don’t know. I don’t know what page I’m on.” For example, this — I’m reading now the Alex Trebeck story, and I have no idea — uh…No, I can’t help you. Sorry. Information Week supplied some crucial context for Amazon’s announcement. 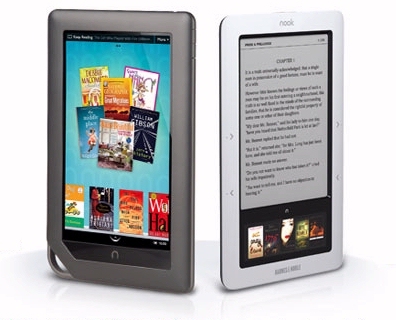 Just last week, Barnes and Noble revealed it was selling its color Nooks at a rate of 18,000 a day. Publisher’s Weekly had declared the company’s CEO as their person of the year, and in a profile, he’d revealed that every four or five days, Barnes and Noble loaded up another 747 aircraft just to fly in more Nooks from China. 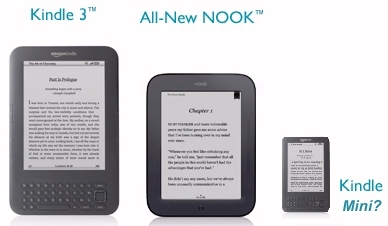 That would come out to 1,314,000 Nooks if it lasted for 73 days — two Nooks for every three Kindles sold — but the Nook Color has only been available for less than 7 weeks. It’s been 47 days since its release on October 28, which works out to just 846,000 color Nooks sold so far (assuming their sales rate remained constant). “All this vague one-upmanship, doesn’t answer the question on most analysts’ minds,” complains Information Week, “which is how well the Kindle is selling compared to the Apple iPad.” But at least now we have a number to work with for the number of Kindle owners in the world. 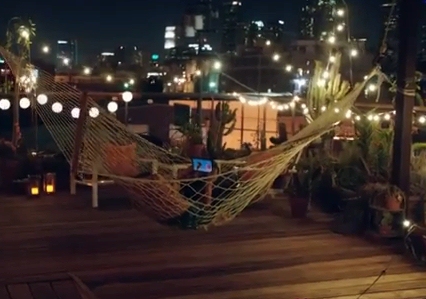 We now know that there are at least two million new Kindles firing up out there in the wild. Will eBooks Change a Bookstore Tradition? 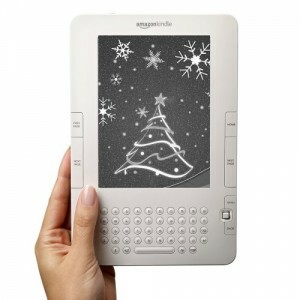 “Writers will begin signing e-books,” a headline promises at the web site TechEye. Er, wait a minute — then where are the writers going to put the pen? But it turns out there’s a new technology — and also some other possibilities that I hadn’t thought of. 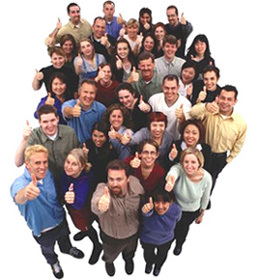 For example, one PR professional suggested that instead of a signature, authors at a book-signing could pose for a digital photograph with all their fans who waited in line. 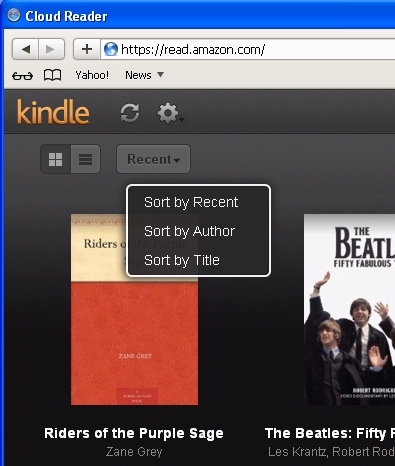 (And yes, you could e-mail that photograph to your Kindle, where you could then access it from your home page.) And the photos could also be uploaded to Facebook or posted on weblogs — or even uploaded to your cell phone, so it’s next to the apps where you’re reading the author’s ebook! William Gibson, the famous science fiction author, also experienced the same phenomenon — during a special book-signing at the Microsoft campus. (Gibson acknowledged to the fan that this was a first, and then autographed their Kindle with big, black letters using a permanent marker.) Later, the fan discovered that William Gibson was also talking about the incident on Twitter. 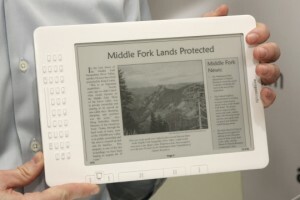 “Signed very first Kindle at Microsoft,” Gibson announced to his fans. “Actually, *touched* very first Kindle. “Appealing unit, IMO,” added the science fiction writer. 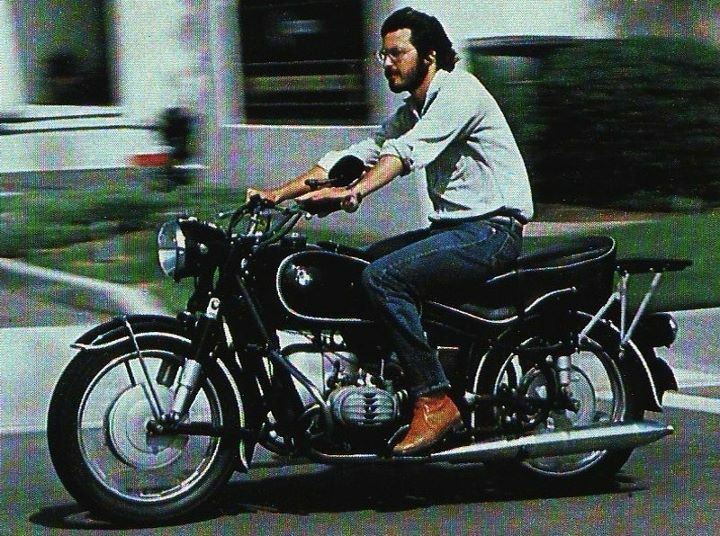 Gibson’s new book ultimately became Amazon’s best-selling science fiction book in September, and it’s possible that the extra publicity helped. It’s fun to think about this as two worlds colliding — that it’s the virtual world of ebooks confronting the real-world physicality of printed books (and their authors). But while this ritual may be undergoing simple changes, it could offer hints about something larger. There’s been some excitement in Amazon’s Kindle forum. Consumer Reports magazine just chose the Kindle as the best e-reader in an early December issue. But I discovered that there’s even more good news for Amazon. 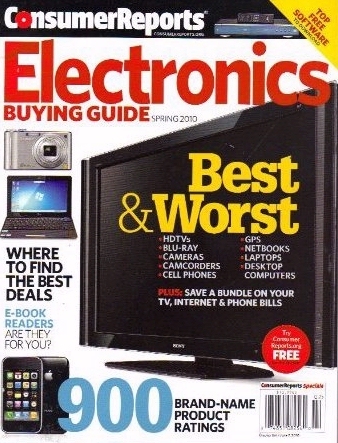 At my local bookstore, I scoured the magazine rack, and found an even more positive comparison in the Consumer Reports Electronics Buying Guide! 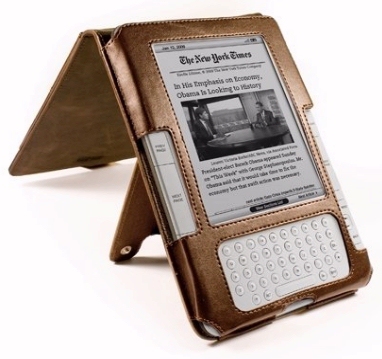 And the Kindle had already won high marks in their special “Best Products of the Year” issue in November. It was the Kindle — and not the Nook or the iPad — which was listed in a special section called “Great Gifts for $250 and Under.” Consumer Reports wrote enthusiastically that the Kindle “offers crisp text, fine performance, simple controls, and a pleasurable reading experience.” It was just a short blurb — but the Electronics Buying Guide offered a very detailed comparison. It costs a whopping $10.99 for that special Winter issue — but watch out. There’s a funny typo in its section on digital readers. They warn readers that prices typically range from $1150 to $500. Er, I’ve never seen an e-reader that costs $1150! 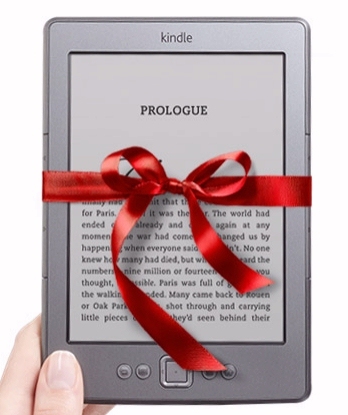 Of all the readers that they compared, only the Kindle received their special endorsements. The Kindle DX was listed as “Recommended,” while the Kindle 3G was awarded a “Best Buy” check mark. The Kindle scored the best for “readability” — receiving the second-highest possible score of “very good” (while the Nook’s readability was a rank lower, rated as “good” — along with every other reader.) 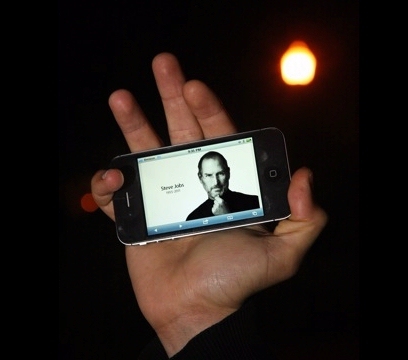 The testers defined “readability” as which device is the easiest on your eyes. It’s a big deal, because Consumer Reports has been around since 1936, and I’ve always thought of it as one of the most well-respect consumer organizations. Their annual budget for testing is $21 million, according to Wikipedia. But ironically, you still can’t read Consumer Reports on your Kindle! 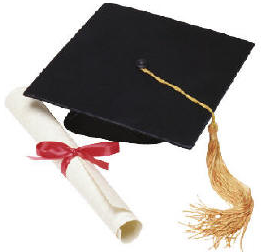 Is Amazon Misleading Us About ebooks Outselling Print Books? 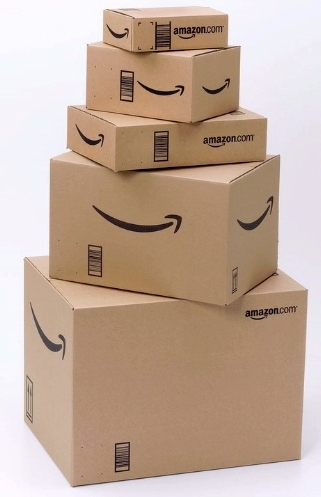 Last week Amazon made another announcement with disturbing implications. 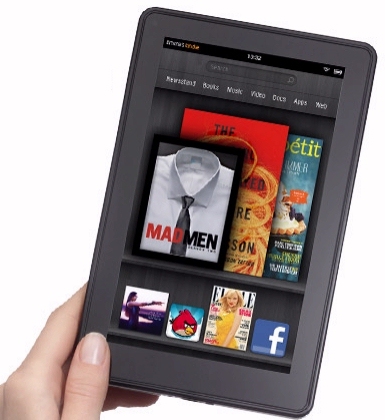 Amazon revealed that their Kindle ebook sales “continue to overtake” the sale of print books on Amazon.com. But in the next few sentences, Amazon added some big disclaimers. So the truth is apparently that they’re not selling more ebooks than printed books. Amazon issued a press release announcing that over the previous 30 days, they’d sold more Kindle ebooks than printed books “for the top 10, 25, 100, and 1,000 bestselling books on Amazon.com.” But it seems like an odd distinction, almost like they’re playing a game with the numbers. In the universe of all books sold, just how small is the piece that’s occupied by this month’s best-sellers? When you walk into a bookstore, how many of the books around you aren’t in the top 1,000? I’d guess it’s an awful lot — at least more than half. And that points to the biggest quirk in Amazon’s calculation. Wikipedia notes that Amazon’s own list of best-sellers “tends to favor hardcover, more expensive books, where the shipping charge is a smaller percentage of the overall purchase price or is sometimes free, and which tend to be more deeply discounted than paperbacks.” In fact, best-selling books are often new books — which are first available only in hardcover editions. So Amazon isn’t talking about a typical sample of all books that are sold; instead they’re sampling an unusual subset where hardcover books are still very much over-represented. Amazon’s press release quotes Steve Kessel, the Senior Vice President for the Kindle, saying that Amazon’s ebooks “are also outselling print books for the top 25, 100, and 1,000 bestsellers — it’s across the board,” though apparently “across the board” actually means “the small portion of the board which contains expensive and pre-dominantly hardcover best-sellers.” But I also noticed their calculation specified sales to “Amazon customers” rather than “Kindle owners.” This seems to confirm reports earlier this month that 1 in 5 people buying ebooks from Amazon’s Kindle store don’t actually own a Kindle (according to a new technology survey). So Amazon may be selling more ebook versions of (expensive and pre-dominantly hardcover) best-selling books — but a lot of those are only being read on iPads and iPhones. And Amazon also specified that their statistic was for “the last 30 days” — which could represent a one-time spike in the month after Amazon released the cheapest Kindle ever. I know I’m being cynical, but at least I’m not the only one. 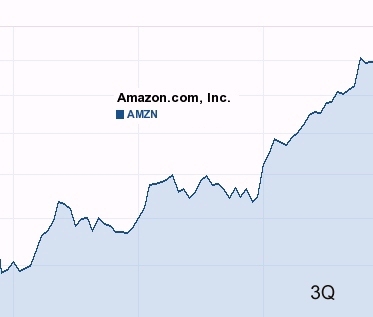 A reporter at Barron’s financial blog complained that Amazon’s announcement was “completely lacking in informative quantitative detail.” And a columnist at PC World notes it’s not the first time their statistics have made a strange comparison. 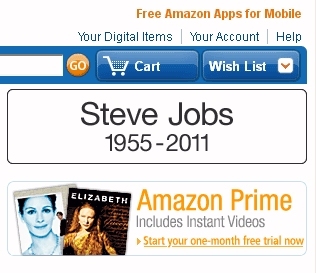 “Amazon has a tradition of playing these stupid mind games with the press… Amazon really took the cake for its silly numbers game last December when the company announced it had sold enough 8 gigabyte iPods during the holiday season to play 422 years of continuous music. The company also claimed it had sold enough Blu-ray disc players during the 2009 holiday sales blitz that if you lined up all the players side-by-side they would stretch for more than 27 miles. Huh? He suggests that Amazon is guilty of foisting on the public “some random statistic that would be more at home in the Guinness Book of World Records than a quarterly sales announcement. ‘Hey look, we sold more Kindles in Q2 FY2010 than the weight of three pregnant Kenyan elephants.’ Good for you. Oh, did I mention that Amazon said it sold more Kindle books than print books for the top 10, 25, 100, and 1,000 bestselling books on Amazon.com during the past 30 days? Wonder what that actually means?